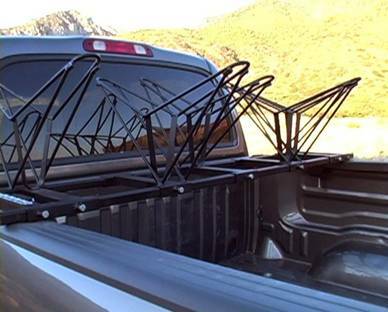 We manufacture metal bike racks that mount on truck beds. Either 4 or 5 bikes can be mounted in an organized, upright way without removing the front tire. For all the details, please visit www.bikefastrack.com. The bike racks are also available for sale un-painted.